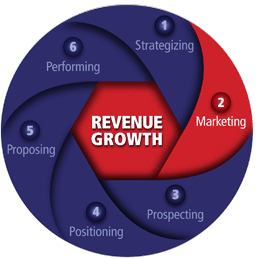 As a Government contractor, you have many competitors who choose to do no marketing or spend money on marketing that contributes nothing to Revenue Growth. The good news is that you can have a small marketing budget that very directly helps your firm win new contracts and achieve your strategic objectives. ClientView collaborates very closely with your team to create your image as a market leader and obvious best choice in your market niche. Our services range from analyzing your Government customers’ view of value and why they award contracts to creating your firm’s compelling messages to developing web content.